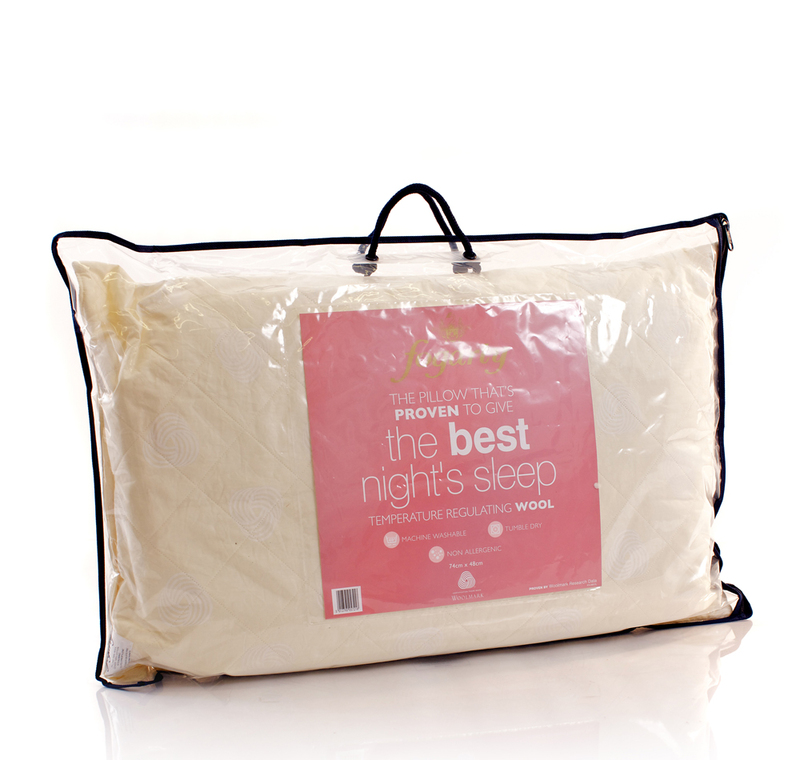 This Fogarty Best Night's Sleep Wool Pillow has been designed to give added comfort when sleeping. The wool filling regulates temperature through the seasons which, combined with the naturally breathable fibres that offer rapid moisture transfer, helps to give a more comfortable sleep. 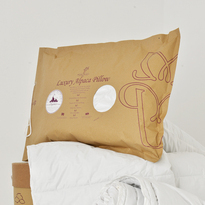 This pillow also offers protection against dust mites and bacteria which makes it a more hygienic option for everyone. Machine washable at 40 degrees and suitable for tumble drying. So far this is the best buy I have made, my husband has tried all sorts of pillows but at last I think he has found the right one. Good value too thanks. i needed some replacement pillows and see these i liked then but was not sure could have been money wasted! i read the reviews and decided to buy them and glad i was to! they really are the most comfy pillows!!!! 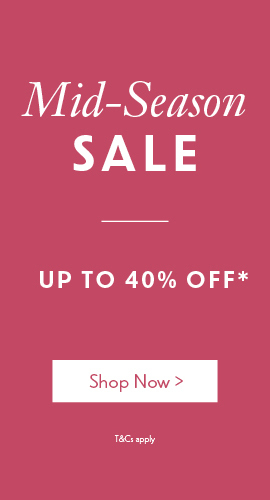 they keep there shape to have had mine for a month now and recommend them highly!! you wont be disappointed that you did !!! Wondered if this would be a lot better than the pillow I had been using and it is a very comfy surface. I really get a good night's sleep from it. Lovely , comfy and cosy . Excellent service as usual . the pillows are excellent and i have now purchased them for all of our beds. the service was also excellent. real comfort very different nights sleep now we have wool pillows. the service was excellent quick and efficient. I found the pillow a little firmer than my previous feather pillow, which suited me very well. I bought the all wool pillow as my husband suffers from breathing problems and the non allergenic, natural fibre, washable pillow is vital. We would both be pleased if the pillow had a little more yield to it! This pillow is excellent. It gives very good support and I have found that I am not constantly turning it over to find a cooler area. I recently purchased the Fogarty 'Best nights Sleep' wool pillow. I was really impressed with the quality of it. I was also impressed by your speedy delivery service, and how easy it was to order from you online. Great product from a great company. Gives a cool nights sleep no need to keep turning your pillow to find a cool part. Worth the money. I am now the proud owner of a Forgarty wool pillow, no more neck pain! Thank you to Slumber Slumber for their efficiency, delivery instructions followed correctly and prompt delivery too. the wool filled pillow gave me a heavenly well supported comfortable sleep. no need to count sheep with this one. it kept me cool even on a hot night. in the morning no need to plump as it keeps its shape. better than expensive duck and goose down that flattens and softens to lack support for neck and back pain. I have tried all sorts of pillows to obtain a comfortable night's sleep ... and at last I have found it! This is a pillow that provides sufficient neck support without being as hard as a brick, and does not get squashed to nothing after a few night's use. Just wonderful - I would well reccomend this pillow! 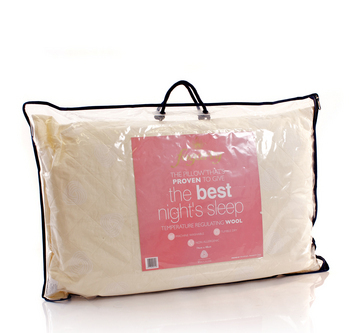 This particular pillow offers medium support which is ideally suited for those who sleep on their back. How many pillows are in a pack? These pillows are sold individually.